DOVER, Del. (WPVI) -- A Dover Police officer is recovering from injuries he suffered while scuffling with a suspect outside a Wawa store. It happened at 7:28 p.m. Thursday in the 200 block of South DuPont Highway in Dover. The officer responded to a complaint about a man loitering outside the store. 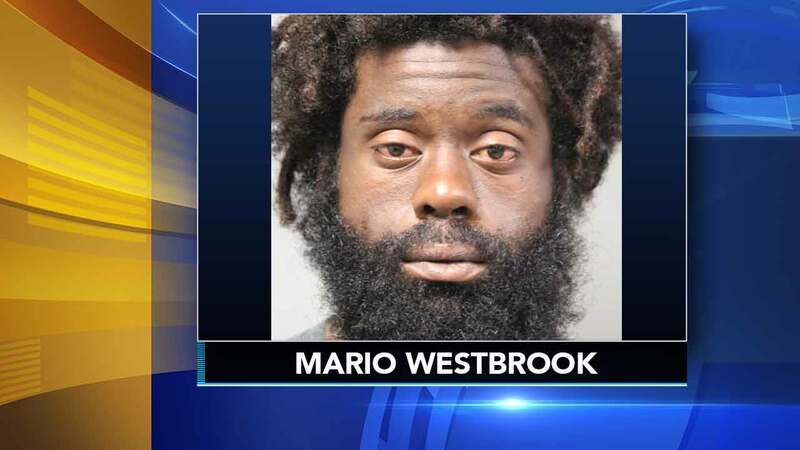 Police say when the officer tried to question and then detain Mario Westbrook, the 35-year-old man, who police describe as homeless, pulled away and took a fighting stance. The officer tried to use a Tazer to subdue Westbrook, police say, but it had no effect, and Westbrook fought with the officer before he was finally subdued by other officers and taken into custody. The initial responding officer suffered a fractured finger and a ruptured tendon. Westbrook is now behind bars in lieu of $21,000 bail. He is charged with Disorderly Conduct, Assault, Trespassing and Resisting Arrest.